Beautiful trees help keep our air clean. Those bushy-tailed squirrels that love to visit your yard actually help to plant trees when they bury nuts in the ground and forget where they hid them! Keep our cute friends occupied and out of your bird feeder by supplying them with their own! 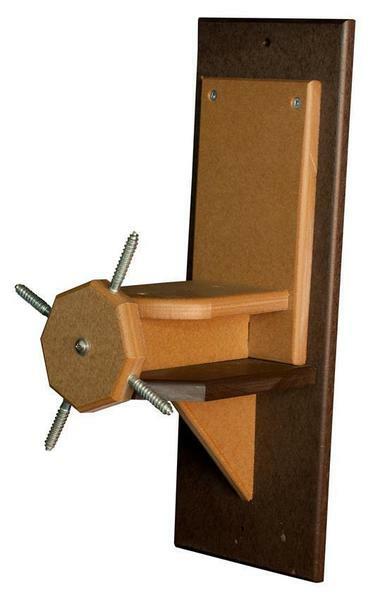 Our Poly Squirrel Feeder is designed to entertain the squirrels when they come hunting for seeds and nuts. Simply add corn cobs to the four screws on the feeder and the squirrels will be entertained for hours! Made of eco-friendly Poly Lumber, this feeder will provide a kitchen for squirrels to dine in!